Posted on September 15, 2015 . 3 comments. On the third day of my trip. 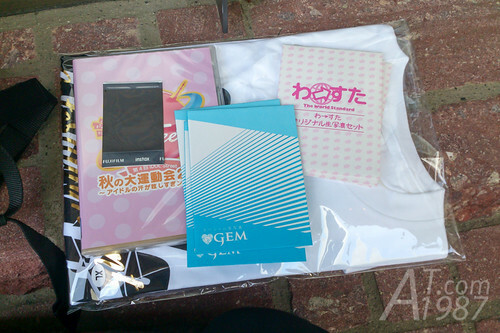 I went to watch GEM’s 2nd anniversary concert at Asakasa BLITZ. First I planed to go to the venue around the gate open time because I heard no information about goods sale. However I checked their official site after Ebichu concert and found the goods sale information which updated two days ago. After checking the items were going to be sold. I left my hotel earlier to be in the queue for buying goods. PS: Since taking photographs during performance is prohibited. To make you more understand what I write about. I borrowed the photos from GEM official Twitter account and the news sites reports.They are shot by Satoshi Hata. 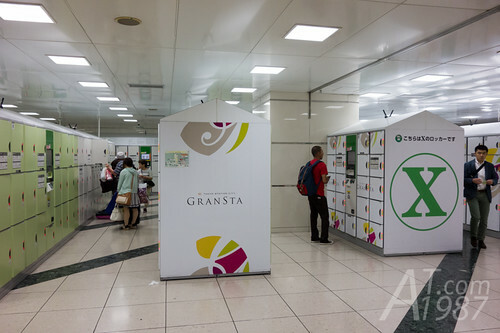 I stopped by JR Tokyo Station to deposit my bag in a coin locker before went to Tokyo Metro station to get the train to Akasaka. I left the Asakasa Station to asakasa Sacas where Akasaka BLITZ is on. 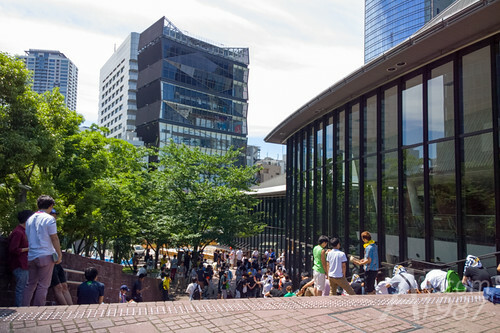 akasaka Sacas is a area development project like Roppongi Hills by TBS. 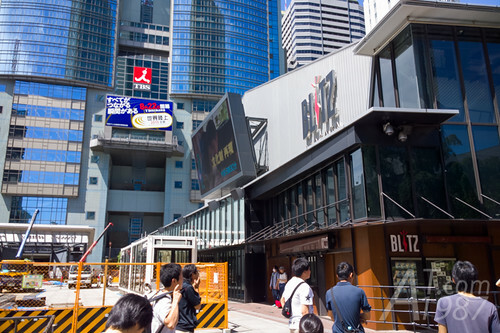 Many buildings are on this area such as TBS Broadcasting Center, Asakasa Biz Tower, Asakasa ACT Theater and the live house Asakasa BLITZ. 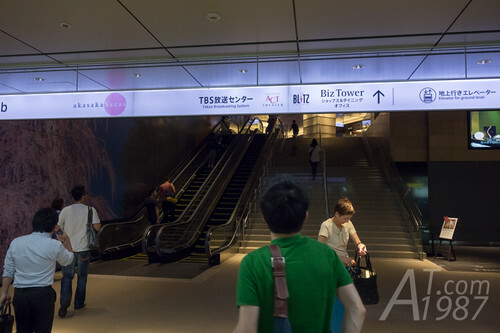 I walked from the basement of Asakasa Biz Tower and found Asakasa BLITZ and TBS Broadcasting Center upstairs. 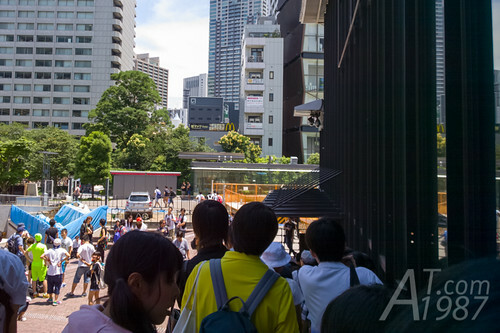 Many people were in the queue for buying goods. I looked for the end of the queue and stood in it. From a schedule goods sale began at 10:30 but there weren’t any movement in the queue until 11:00. People who were behind me complained why it’s very late. At almost 12:30 that is the dead line of sales good. I was finally in front of the gate to lobby. However a staff was looked like to end the queue at the person before me. So I asked him if it’s possible to buy the T-shirt inside. During the talk between me and the staff. One of the girls who were behind me started complain the staff about the goods sale began late than the schedule. After he discussed with his leader. He allowed us to queue inside and then shut the door. Inside lobby each goods were sold by different staffs. There were one that sold T-shirt and pen light, one that sold wristband with handshake event ticket, one that sold a PlugAir and one that sold MU-CA with the Girls Street EXPO event ticket. I bought only T-shirt and S.P.C store exclusive iDOL Street sports festival 2014 DVD. I got 3 random GEM photos for buying the T-shirt too. 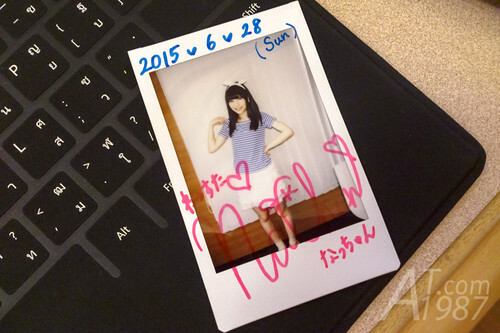 I got Nachun who is Wa-Suta’s center. I found a manager of The World Standard (iDOL Street latest idol group.) selling the photos set when I left the lobby. I bought 3 boosters and got a signed Instax photo from her. All ticket of this concert are standing ticket. While the people who come first will enter the standing area first in my country. This concert assigned the group and number in each ticket. For normal people who bought the ticket at normal sale have to let about 800 S.P.C members who got the ticket earlier went to the concert first. Staffs will create the queue according to groups and numbers then asked 10 persons at a time to go inside. Since I exited from the lobby at a time the queue was created. I waited for my number calling at the entry point. There was an announcement about the bag while I was waiting. So I asked the staff nearby if I can have my backpack with me during live. He said I can but it might be my burden during watching live. So I deposited it in the coin locker behind the live house. The fee is more expensive than the ones in station. I also had to pay it twice because I forgot my item in my bag. 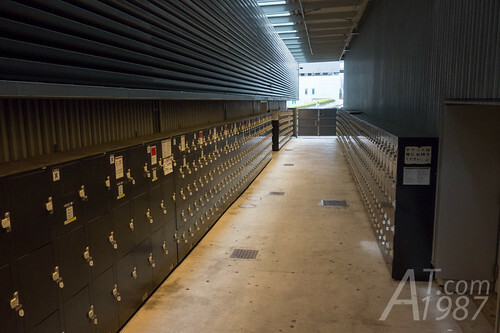 So I opened the locker to get the item and deposited it again. After finished business with coin locker and my number was called for entering in the concert. 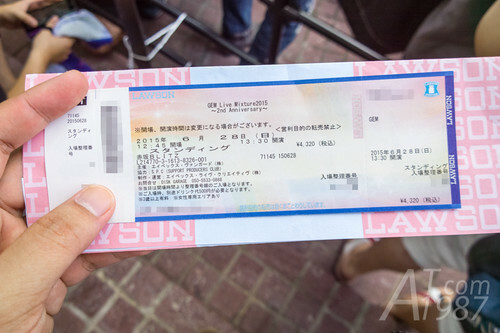 At the entry gate there were staffs who tore a small part of ticket and others who sell the drink ticket for 500 yen. All live house guests are required to buy it. Finally it’s a concert time!